margaret e. ward tells a poignant and compelling story of this international adoption and the astonishing revelations that emerged when Nelson's birth family finally relocated him in 1997. Ward vividly recalls the upheaval that occurred when members of Nelson's birth family contacted them and sought a reunion with the boy they knew as Roberto. 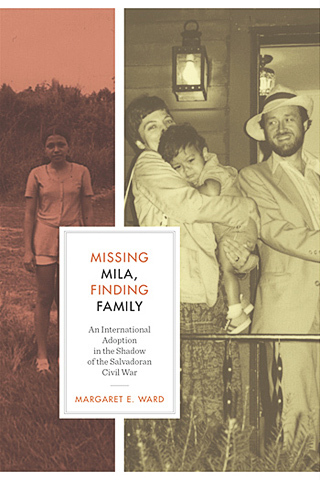 She describes how their sense of family expanded to include Nelson's Central American relatives, who helped her piece together the lives of her son's birth parents and their clandestine activities as guerrillas in El Salvador's civil war. In particular, Ward develops an internal dialogue with Nelson's deceased mother Mila, an elusive figure whose life and motivations she tries to understand. or at popular online retailers such as Amazon and Barnes & Noble. It is also can be purchased as an ePublication from Google.